The Shabbos Project has started. We started it with The Great Challah Bake. Thousands upon thousands of women in over 300 communities around the world are participating in this historic event. Getting to be a part of it here in Montevideo has been an extreme honor and joy. To see Tamara as the focal person of the event is a source of indescribable pride. The ideas of months, the planning of weeks, the effort of days came to a feverish culmination today. The Yavne kitchen performed amazingly under the extreme pressure of regular school meals, daily sales, weekly challah baking for the community, the regular Shabbat kiddush, a Bar-Mitzvah meal, catering the youth dinner after the central prayer and a general luncheon for the community that is already overbooked past capacity, and probably a few other things that I’m not aware of. 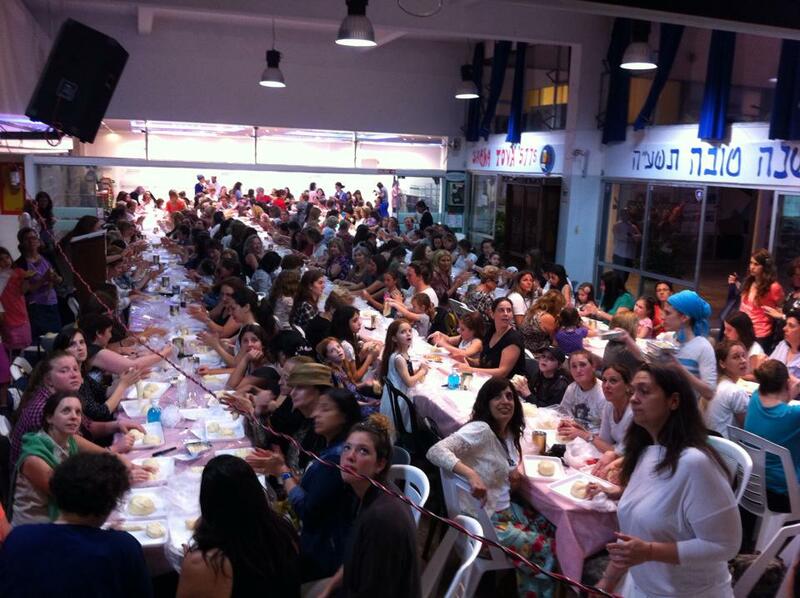 The women of Chabad as well as all the shlichot (teachers from Israel) were active and busy setting up the hall, the tables, preparing the dough, the trays – getting everything ready hours before the start of the event. Women from the entire spectrum of the community arrived – and of all ages. Over 300 women filled an area that was designed and prepared for less. We ran out of tables and chairs, however, luckily there were tables and chairs of the kindergarden available which the women put to comic yet practical use. The feeling of community was palpable. 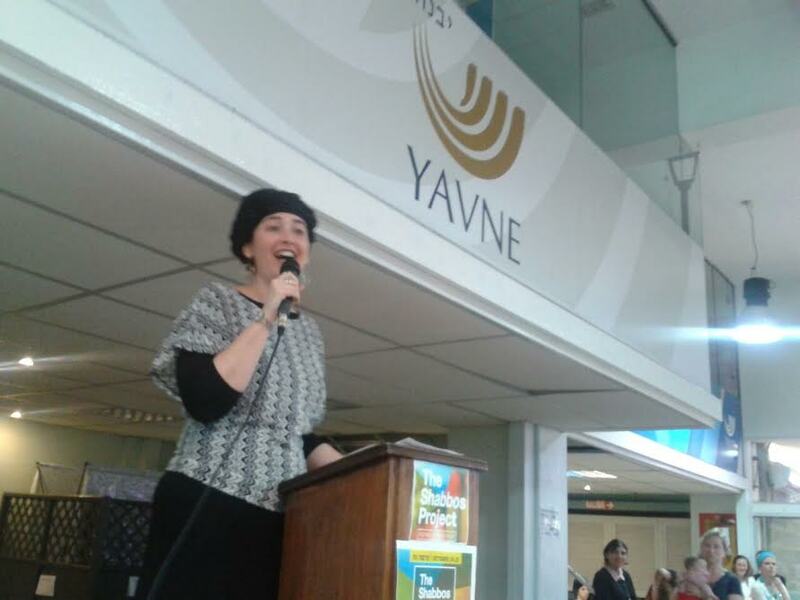 Mrs. Sylvia Acher was the master of ceremonies; and my boss, Kehila Director, Nurit Caplivschi addressed the crowd. We were also honored by the participation of the Israeli Ambassador, Nina Ben-Ami. However, Tamara conducted the show and it was frankly amazing. For a person who didn’t speak a word of Spanish a little over a year ago, to now not only address but to enthrall an audience in a masterful Spanish was just breathtaking. 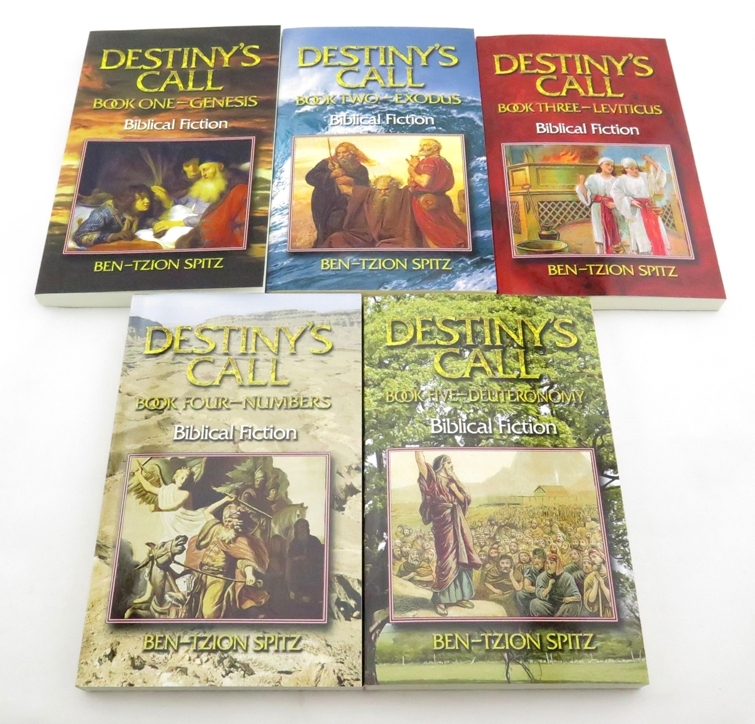 The women listened to her every word as she gave a profound explanation of the special mitzvot (commandments) that women have and the symbolism of making and separating a part from the Challah. When she asked everyone to close their eyes and pray for someone in need, you could feel in the meaningful silence the spirituality in the room go up several notches. When everyone repeated the blessing after Tamara, I thought I would burst into tears from the power and force that the women put into it. It was an amazingly successful event. Everyone was happy. The whole community was represented, together and interacting in a meaningful way. There were many women (and children) who had never made a Challah in their lives, let alone say the blessing when separating the prescribed part. I think that in the history of the community, there hasn’t been an event quite like this one. After making the Challah, many of the women danced, with of course, the internationally renown dance-instructor, choreographer, doctor, rabanit and mind-boggingly talented, Tamara.